Dedicated to providing the highest quality oral health care in a cheerful and caring environment with a commitment to uncompromised personal and professional service for each patient. We are committed to remaining at the forefront of dental technology and techniques that make us the leader in our profession. We associate with quality oriented specialists and laboratories that share our commitment to excellence and contribute greatly to our success. We are committed to building on our reputation as an organization that gives of its time and talents to enhance the community it serves. 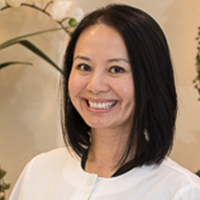 Dr. Pauline Pham Wong was born and raised in Southern California. She earned a Bachelor of Science in Biological Sciences from the University of California, Irvine and a Doctorate in Dental Surgery from the prestigious University of Southern California. 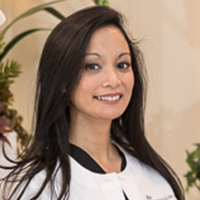 Dr. Sharon Sotto-Fontejon, who grew up in Chicago, has enjoyed living with her family in California since she was 11 years old. She earned a Bachelor of Science in Biological Sciences from the University of California, Los Angeles, and a Doctorate in Dental Surgery from the prestigious University of Southern California. 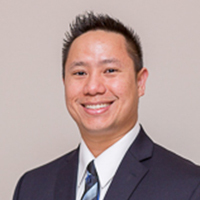 Dr. Jimmy Pham, DDS, was born and raised in Southern California. He received a Bachelor of Science in Biology from the University of California, Los Angeles in 2003. Dr. Jimmy received a D.D.S. from University Of Southern California School of Dentistry in 2007 and a certificate in endodontics from Boston University Henry M. Goldman School of Dental Medicine in 2015.